At Jordan&Judy, we understand that Yoga is the combination of physical and mental disciplines to help create unity and balance. We also understand that a properly hydrated body is at the core of feeling and looking your best. When you purchase a Jordan&Judy water bottle you are getting great value, award winning design and the clean pure taste of H2O! Our products are unique, just like you. We use simple, functional design concepts that will add an elegant, aesthetic quality to your lifestyle. Our food grade silicone sleeves offer a great look and a sure grip. The wide mouth design is simple and makes it easy to add ice cubes. We don’t skimp on materials either. Rather we raise the bar by offering only high-grade Borosilicate glass at prices competitive to our competition’s low quality recycled glass. Our glass water bottles are BPA-free, BPS-free, Lead-free and Pthalate-free. There is no metal or plastic flavor. Just the fresh clean taste of whatever you are drinking. 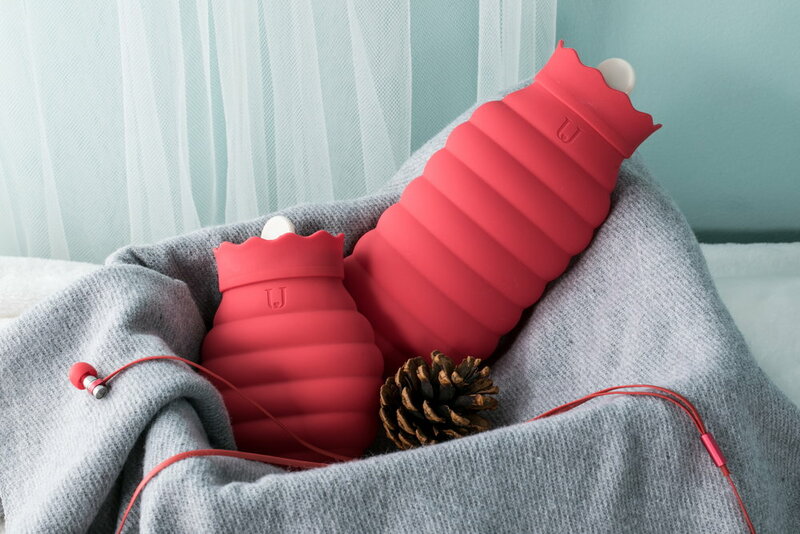 The Jordan&Judy Honeycomb Water Bottle is a perfect solution for the gym or Yoga studio. Available in 3 sizes, and 4 trend-setting colors, these elegantly designed bottles are sure to turn some heads. In addition to our Hydration collection, Jordan&Judy recently launch a new series of Hot Water Bags. These soft silicone bags can be used to sooth sore muscles after a workout and can be used either hot or cold. The Jordan&Judy hot water bag comes with a beehive design and a matching cozy sweater cover. Perfect for keeping hands and feet warm and relieving sore muscles after an intense Yoga session.